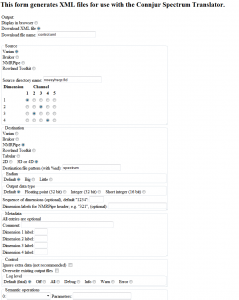 CONNJUR_ST is a free, extensible, and open source application for NMR File Spectral Format Conversion, which is available as a cross-platform executable application. Uniform syntax for all conversions. Supports generic source file format. Dimension ordering can be directly specified. Optional logging of each FID read/write event. ALL binary conversions can be reversed (i.e. conversions are bidirectional). Comprehensive use of Meta Data minimizes (often eliminates) need for configuration. Easily Configurable via XML or command line options. Can easily be run in batch mode. Cross platform (runs on Windows, *NIX, OS-X). Active and direct developer support available. Tested daily against ALL supported file formats. Supports a file streaming API as well as file-to-file based conversion. 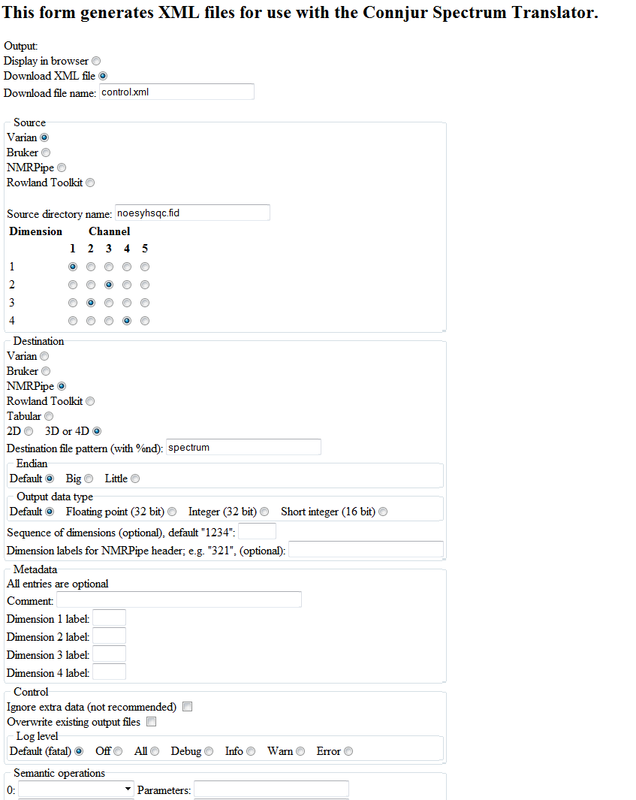 Easily extensible - Extension only requires identifying metadata and file layout; does not requiring writing code to tranverse fid data portion of file(s). Supports semantic conversions; additional conversions can be added with about 150 lines of code in a single file. Reasonable performance and response time. Ellis, H.J.C., Weatherby, G., Nowling, R.J., Vyas, J., Fenwick, M. & Gryk, M.R. (2013). A Pipeline Software Architecture for NMR Spectrum Data Translation. Computing in Science and Engineering , 15, 76-83. PMCID: NIHMS418891.